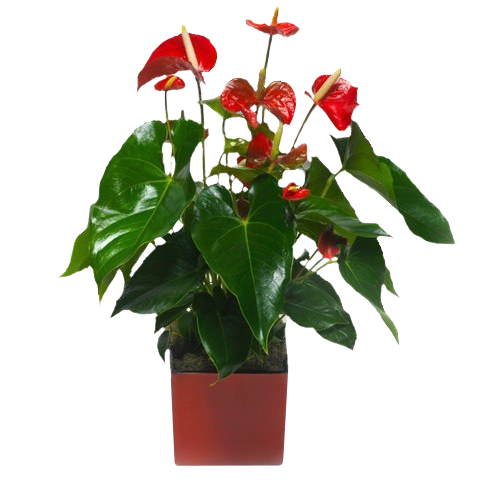 Surprise your loved ones with this beautiful decorative red anthurium plant. With FloraQueen’s international plant delivery service you can send plants prepared by expert florists all around the world. Send plants for birthdays, congratulations or just as a surprise. "Why send a plant when you can send flowers?" I hear you ask. Well there are many reasons why an ornamental plant makes a great gift. Firstly, although flowers may slightly hold the aesthetic edge, no flower lasts as long as you would like. Send a plant online and you can be sure that your gift can be appreciated to its full for a much longer time. Secondly, plants are still beautiful! Think of a majestic orchid from our orchid catalogue or a wonderful decorative plant, who couldn't be impressed by these wonderful pieces of nature? And thirdly, plants have been scientifically proven to improve the mood and reduce stress of anyone who is regularly near the plant. And you can't argue with science! So send a plant with FloraQueen and make their special day that little bit more wonderful. Send a plant with our online plant delivery service and you can sure that your loved one will receive a plant of the very highest quality that will be sure to last. 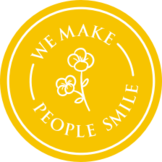 Our network of only the best local florists in more than 100 countries, as well as our distribution centres throughout Europe, will ensure that only plants which are up to their very high standards will be sent on to your loved one. To send a gift online has never been easier and you can be sure to get find a plant they will love from our extensive plant collection.